Making the most of social media, blogging, video and other digital platforms was the focus of a weekend symposium on 28 and 29 November in Wellington, attended by people in the disability sector and aimed at building their digital skills to advocate for increased access to arts and cultural events in New Zealand. 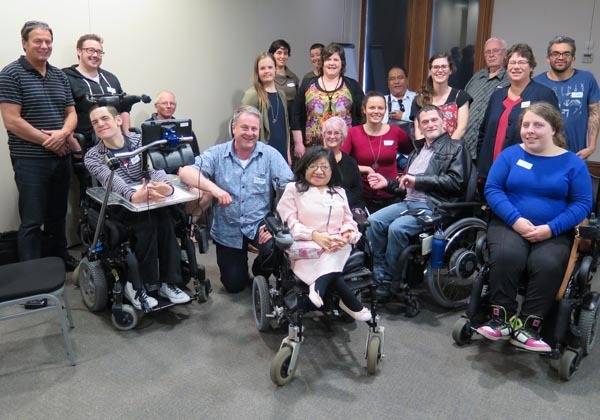 The symposium was organised by Arts Access Aotearoa and funded through the Ministry of Social Development’s Thinking Differently. It was the third part of a project called Arts Access Advocates: A National Partnership, which also includes a website and videos about advocating for increased access. 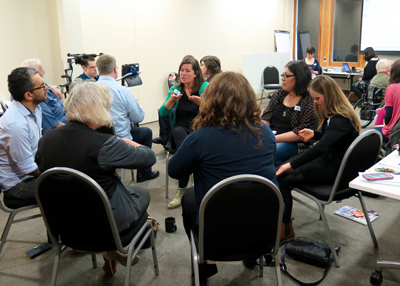 At the symposium, participants were inspired by speakers such as Pati Umaga, Phillip Patston, Robyn Hunt, Thane Pullan and Jared Flitcroft. They also valued the opportunity to form a national network and share their knowledge, issues and experiences. Robyn Hunt described the symposium as a “constructive and valuable learning” event. “There was a lot of positive energy and a real buzz as people made connections with each other and with ideas,” she said. He said the Arts Access Advocates website has already attracted blogs about the symposium, accessibility issues and ways to advocate through empowerment. Throughout the symposium, participants tweeted and posted on Facebook. These are captured on the Storify site. Original generation time 1.3107 seconds.